According to The Information the police and the attorneys involved in the case from Bentonville Arkansas have issued a warrant to Amazon asking them to hiand over any and all audio or records from Echo that belong to James Andrew Bates. Bates will go to trial for the murder of Victor Collins in 2017. While Amazon has declined to give any of the recorded information from the Echo that it has on its servers, the company did give the account details and the account purchases from the account to the police. The police state that they could pull some data from the speaker but what they could get was unclear. The Echo device is always on and can be awoken so police want information that may be stored on the device of an audio nature. According to Gabe Guttierez the police want to see what the device recordings may tell them. “We know Amazon has a copy because consumers can actually listen to all their Alexa requests and they can delete them, so that's an option that's available in a lot of these technologies--something that's good for consumers to know," stated privacy expert Bob Sullivan. Bates, who called 9-1-1 when he found Collins, has pleaded not guilty to the crime and of course isn’t thrilled with the Amazon data being called into play. He had multiple other smart devices attached to his home at the time, including a water meter. The water meter showed that more than 140 gallons of water were used between 1 and 3 am when Collins was murdered. Investigators state that he used that water to clean up a crime scene. The Echo and other devices like it are supposed to find answers for you by listening to what you tell it to do, but the police in Bentonville believe that it can help with the case by telling them what it heard. "Did anybody think when this was being created that information you gave to Alexis or you gave to the amazon echo would be used outside your home, and then be used to have you arrested for a crime you didn't commit?" asked Bates' defense attorney Kim Weber. Amazon told WHO TV.com -- NBC News that it "will not release customer information without a valid and binding legal demand properly served on us. Amazon objects to overbroad or otherwise inappropriate demands as a matter of course." "When we give companies data, the big problem is not only how will it be used today, but how could it be combined with other data in the future and then used against us," remarked privacy expert Sullivan. How it all plays out remains to be seen but based on the Echo and the hot water meter, it appears that your smart devices may be the best witnesses against you. 2016 will go down as being part of the golden era for the Internet of things. This last year has experienced incredible advancements like cars that drive themselves, and cities that actually smarter. It has also been a learning experience where major security breaches threatened us, but we worked past them, and ultimately built stronger systems. So what were some of the top stories of the year? The first was the Mirari code. This historic attack utilized the internet of things to take down massive websites, through unsecure devices. Amazon, BBC, and other websites felt the crushing blow of this DDoS attack. When things settled down, there was still the concern of what could happen if another attack were to happen. Our vehicles also experienced an upgrade in 2016. Several fleets of autonomous cars (or those that drive themselves) were unveiled. These cabs would provide the most effective driving experience for passengers and could cut down on accidents, and avoid delays in traffic. This means the future of getting to and from work will be incredible. That doesn’t mean that it hasn’t gone off without a hitch the Tesla that was running on autopilot did already claim the life of one man who was in the vehicle as it drove in July. Reactions were mixed this year in August when a pair of hackers revealed more security concerns for Jeep. While these individuals brought the information to the attention of the industry to help prevent a deadly encounter, it was still sobering for most to see just how dangerous these vehicles could be when connected to the internet of things. Fortunately, this information can be used to help establish a stronger set of code that makes it incredibly difficult for people to hack and to cause havoc on the roads. But not everything has grey clouds over it this year. In Columbus, Ohio the U.S. Department of Transportation announced the city would receive federal funding to become a smart city. This technology would allow transportation to be more effective in the area and to ensure that the experience both residents and visitors is incredible. This has been a year that has seen some definite improvement with the internet of things and what it can do. While the year is coming to an end, we still have 2017 to look forward to with the entire world of possibilities that it holds for us. There is no shortage of attention lately on the “Internet of Things”. As a case in point, see the “Developing Innovation and Growing the Internet of Things Act” or “DIGIT Act”, i.e., S. 2607, a bill introduced in the Senate on March 1, 2016 and amended on September 28, 2016, “to ensure appropriate spectrum planning and inter-agency coordination to support the Internet of Things” – A companion bill, H.R. 5117, was introduced in the House of Representatives on April 28, 2016. However, since there is no “internet” dedicated to “things”, it is fair to state that the Internet of Things does not exist as such. We are left with a definitional vacuum, but it is hammering the obvious to acknowledge that there is no dearth of attempts around the world to fill the gap. Perhaps as a helpful shortcut, we could view the expression as a metaphor that captures the arrival of almost anything and everything, until now out of scope, into the communications space. While the proposed DIGIT Act sees the Internet of Things as referring to the “growing number of connected and interconnected devices”, we could argue that the smartness of those devices is what makes IoT truly unique; hence the “interconnection of intelligent things” may be a more accurate descriptor. In sum, the term “Internet of Things” heralds the advent of what we could call a true “pulsating world” arising from sending data from and to smart devices. Extracting information, and therefore value, from the data captured at the edge of the Internet of Things network is increasingly becoming a core focus of IoT solution providers. As the Internet of Things is bound to become a gargantuan reservoir of data, it close interaction with data analytics has been well documented in academia and business. “How can we make it happen? Extending the data analytics discussion to the Internet of Things (a.k.a. “the analytics of things”), Professor Thomas Davenport, in a March 2016 Data Informed article, wonders When Will the Analytics of Things Grow Up? He expresses the concern that “most of the ‘analytics of things’ thus far have been descriptive analytics – bar (and Heaven forbid, pie) charts, means and medians, and alerts for out-of-bounds data,” and highlights areas where business analytics can make a difference in IoT beyond descriptive (dashboard-type report on performance) such as diagnostic (alerts that need attention), predictive (e.g., breakdown potential) and prescriptive (recommendations based on predictions, experiments, or optimizations). Prescriptive has often been described as the “final frontier” of data analytics. Yet, or perhaps because of this, a recent academic paper observes that “there are very limited examples of good prescriptive analytics in the real world” (1). The same paper proposes an overall definition “in general, prescriptive solutions assist business analysts in decision-making by determining actions and assessing their impact regarding business objectives, requirements, and constraints. For example, what if simulators have helped provide insights regarding the plausible options that a business could choose to implement in order to maintain or strengthen its current position in the market.” Let’s note in passing the “assisting” role of said solutions. Indeed advising outcomes and providing recommendations are presently associated with this final phase of business analytics. This seems to somewhat contradict the notion of “prescription” since its very meaning implies imposition of one single direction or rule. However, the current generally-accepted use gives room for interpretation or non-compliance. Davenport’s prescient clarity is strengthened when we realize that, in the IoT space, the future, with “automated prescriptive action”, is actually already here (e.g., IoT devices with actuators, industrial robots, etc.). Consequently, we might have to recognize a possible fifth phase (a new final frontier? ), i.e., normative analytics (or automated prescription), whose conceptual tenets lean on system engineering. For all intents and purposes, normative analytics is a self-adaptive system, which adjusts dynamically to changes in external and internal conditions (a point of comparison could be rocket launch technologies). While not yet mainstream, the following two examples with life and death consequences, i.e., driverless cars and autonomous robots for surgery, show the interactive analytics continuum. Data analysis for driverless cars (or more generally, unmanned vehicles) has to go through at least five stages, i.e., 1) descriptive (e.g., wear and tear of a multitude of components); 2) diagnostic (e.g., what’s wrong? ); 3) predictive (e.g., impact of traffic jams, weather, detours); 4) prescriptive (based on previous analytics layers, what acceptable options does the vehicle have?) and finally 5) a normative stage (what the vehicle must do). All these phases must happen concurrently and seamlessly; there is no time to delay the final decision, i.e., the car must stop or move. The consequences of a delay, however minute, could be catastrophic. The same can be said of surgical robots. For instance, a team of researchers at the Sheikh Zayed Institute for Pediatric Innovation within the Children’s National Health System, and Johns Hopkins University recently announced that they had developed a “Smart Tissue Autonomous Robot” (STAR) for soft tissue surgery, which is “a difficult task for a robot given tissue deformity and mobility” (2). Quite remarkably, they claim that they have demonstrated that “supervised autonomy with STAR not only is feasible but also, by some metrics, surpasses the performance of accepted surgical procedures including RAS (Robot-Assisted Surgery), LAP (Laparoscopy), and manual surgery” and that “autonomous surgery can bring better efficacy, safety, and access to the best surgical techniques regardless of human factors, including surgeon experience.” Is there a better example of automated and integrated analytics intimately connected with action? The above two IoT-related use cases exemplify the smooth transition from the virtual to the physical world through analytics and may be used as a template/model for business analytics (see Table 2). "This is what the future may look like"
Shape the output, but post-analysis - Human decides on execution of potential actions. Shape the output with action criteria embedded in this phase - Except for monitoring, human is not involved in execution. Occam’s razor notwithstanding, there is a case to be made for specifying a new phase in data analytics, i.e., normative analytics, which, whether identified or not, already exists, especially in the Internet of Things universe. This is the step where, fed by the other analytics phases, action is automatically triggered and executed. It would be hard to merge prescriptive analytics (as currently defined in the analytics space) with the proposed normative analytics. There will always be situations where the need for injecting human input into the final decision preempts process automation. In any event, prescriptive analytics remains the necessary step that must be gone through and successfully passed before normative analytics kicks in. Note that this model can be applied to any Cyber-Physical System (CPS), whatever its size. The National Institute of Standards and Technology (NIST) defines Cyber-Physical Systems as “smart systems that include engineered interacting networks of physical and computational components,” and underscores that “CPS and related systems (including the Internet of Things (IoT) and the Industrial Internet) are widely recognized as having great potential to enable innovative applications and impact multiple economic sectors in the worldwide economy”. It also foresees that CPS’ new capabilities will fuse with other important evolutions of technologies such as big data analytics, which “are expected to bring transformational changes to economies, societies, our knowledge of the world, and ultimately the way people live” (3). Dr. Frey and Professor Osborne’s abundantly-quoted study on computerization serves as a reminder that the broad diffusion of automated prescription might just be around the corner. According to their estimate, “47 percent of total US employment is in the high risk category, meaning that associated occupations are potentially automatable over some unspecified number of years, perhaps a decade or two” (4). This prospect cannot materialize without normative analytics resting on optimization techniques. The irony is that as high technology increasingly pervades all economic functions, non-technology considerations become part and parcel of the whole framework. Policy, regulation, ethical and other critical perspectives need to be factored in the optimization calculation. Among its many applications, normative analytics could open the door to a new regulatory domain, which has been called “governance by things” (5) or “algorithmic regulation” (6), i.e., a new way of implementing rules and norms through analytics not, however, without misgivings (7). Regardless of the attractiveness of this new concept, the introduction of normative analytics as an integral phase of the data analytics spectrum must be further validated, and prudence advocated the same way William Vorhies not too long ago cautioned against the possible groundless addition of prescriptive analytics in the data analytics nomenclature, i.e., “with about 1/3rd of companies having yet adopted predictive analytics the last thing we need is introducing ‘the next big thing’ into that conversation unless there is some real value to be had” (8). The views expressed in this article are solely the author’s and do not necessarily represent those of the Georgia Institute of Technology (“Georgia Tech”), the Georgia Tech CDAIT members, the University System of (U.S. State of) Georgia or the (U.S.) State of Georgia. Alain Louchez is the Managing Director of the Center for the Development and Application of Internet of Things Technologies (CDAIT pronounced “sedate”) at the Georgia Institute of Technology (“Georgia Tech”), Atlanta, Georgia. CDAIT’s purpose is to expand and promote the Internet of Things (IoT)’s huge potential and transformational capabilities through research, education and industry outreach. The Center is sponsored by global companies headquartered in North America, Europe, Asia and Australia. Alain was recently selected by Instituto Tecnológico y de Estudios Superiores de Monterrey (Guadalajara) as an international advisor to “Centro de Innovación, Desarrollo Tecnológico y Aplicaciones de Internet de las Cosas” (a.k.a. “Center of Innovación in Internet of Things or CIIoT”) after bid approval by the government of Mexico in June 2016. Prior to joining Georgia Tech, Alain held various executive positions including member of the board of directors of leading companies in the high tech industry, in Europe and the United States. Apple and Tesla may not be the first companies you think of for IoT, but they've been doing it successfully far before most companies even knew what IoT was. Here are two key takeaways you can implement today. We are looking for your predictions in IoT for 2017. What are the big and small moves that will mark IoT in 2017? Will there be platform consolidation? What will happen with security? All our members and friends are invited to send predictions to us. For inspiration grab a crystal ball, or review our 50 Predictions for the Internet of Things in 2016. Send your predictions directly to me with a message here. I will compile the best predictions and publish later this month. Valueable contributions appear in this issue of IoT Central digest including a MQTT library demo, a look at the open source for IoT software stacks, the software platforms that matter and more. If you're interested in being featured, we always welcome your contributions on all things IoT Infrastructure, IoT Application Development, IoT Data and IoT Security, and more. All members can post on IoT Central. Consider contributing today. Our guidelines are here. As if I haven’t said it a million times, IoT security is critical. But just when I thought I had it all figured out, somebody comes along and sheds new light on this very important topic in a different way. At a November 16 hearing held by the Congress Committee on Energy and Commerce in light of the devastating October 21 Dyn DDoS attack, famous cryptologist and computer security expert Bruce Schneier offered a new perspective on IoT security, which makes it easier for everyone to understand the criticality of the issue. After watching it at least three times, I decided to share the main concepts with the readers of TechTalks. Here are the key takeaways, which I’ve taken the pain to elaborate on. Two years ago, IBM announced a groundbreaking partnership with another colossal tech pioneer – Apple, in order to enhance the mobile enterprise space. In little over 25 months, the two companies have declared a major breakthrough – on October 25th, IBM officially announced that the company will incorporate the famous Watson capabilities into the MobileFirst for iOS ecosystem. The integration will bring deep data analysis, natural language processing and even more features to iOS 10. Wondering what IoT software platform to latch onto? Well, Forrester recently published their research report and named the 11 that are most significant — Amazon Web Services (AWS), Ayla Networks, Cisco Jasper, Exosite, General Electric (GE), IBM, LogMeIn, Microsoft, PTC, SAP, and Zebra Technologies. In the previous article, Three Software Stacks Required to Implement IoT , we introduce the 3 software stacks that are required for any IoT solution: 1) Constrained Devices, 2) IoT Gateways and Smart Devices, and 3) IoT Cloud Platforms. In part 2 of this series, we discuss how open source software communities and in particular the Eclipse IoT open source community is becoming a key provider of the building blocks required to implement each of the three software stacks. Similar to how the LAMP (Linux/Apache HTTP Server/MySQL/PHP) stack has dominated the web infrastructures, it is believed a similar open source stack will dominate IoT deployments. Guest post by Ian Skerrett, Eclipse Foundation. In parallel to the emerging IoT industry, the general software industry has moved towards open source as being a key supplier of critical software components. The phrase “software is eating the world” reflects the importance of software in general, but in reality the software industry is now dominated by open source. This is true for key software categories, including Operating Systems (Linux), Big Data (Apache Hadoop, Apache Cassandra), Middleware (Apache HTTP Server, Apache Tomcat, Eclipse Jetty), Cloud (OpenStack, Cloud Foundry, Kubernetes), and Microservices (Docker). The purpose of this article is to look at the new technology requirements and architectures required for IoT solutions. If you want to capitalize on all the amazing advancements in data science take a look at these two hot growth areas for IoT. It's likely that these will be where a lot of venture capital is invested over the next year or two. A lot of well deserved attention is being directed at speech, image, and text processing. The tools in this area are the CNNs and RNNs we've reviewed in recent articles. We'll continue to exploit and refine these capabilities probably for several more years but if you want to get out in front you really need to be looking for the next wave. We think we've spotted two areas of emerging opportunities where there's not yet a lot of competition but soon will be. Our brain gets trained over the years to recognize these images and then further classify them as apple, orange, banana, cat, dog, horse, Toyota, Honda, BMW and so on. Inspired by these biological processes of human brain, artificial neural networks (ANN) were developed. Deep learning refers to these artificial neural networks that are composed of many layers. It is the fastest-growing field in machine learning. With their billions of annual captive customers, one would think that airports, and by logical extension, airlines, were prime candidates for the implementation of the Internet of Things (IoT) technology to improve passenger experience, yet, there’s not been much progress there. Yes, airlines and airports have started “experimenting” with IoT, but unlike say the health or medicine sector, progress has been comparatively slow. When the web began, there were millions of web pages that were not properly organized or connected. I remember before google existed using AltaVista for images, Go.com for sports, and AOL for news. The next iteration was the hierarchical taxonomy that Yahoo introduced, were you could browse through categories to find what you wanted by getting more and more specific. And then Google arrived and it quickly became clear that free-form text search was going to be the way forward. How will this process evolve for the Internet of Things? I recently listened to an episode on my favorite podcast Software Engineering Daily with the inventor of TCP/IP - the legendary Vint Cerf. One of his key ideas around IoT was the need for filtering out meaningful data sources. I suppose this isn’t very different from pagerank algorithms that originally helped decide what would show up on your Google search. But how do you conduct pagerank for objects? On the web, websites connect to each other because they are part of a topic or feature set – sports news connects to team pages which connect to fan pages. In IoT, objects will be connected based on proximity regardless of their common features. That might not be very helpful when counting the number of inbound and outbound connections to an object. A pagerank algo might tell you that the most important device in your search is the one that is closest to the highest number of other devices. This would be a sort of centroid device - in the machine learning/clustering sense of the word. But finding the centroid might not be very helpful when you are looking for one device in the middle of nowhere. Imagine its 10 years in the future and you go on your IoT search engine. You need to find a temperature sensor in Antartica that will give you the current reading. So you type in the words “sensor + Antartica”. What happens next? Well, if every sensor in the world is running its own web server and that web server is connected to the internet and there are other pages linking to and from it, you might find it using traditional search algorithms. But that seems unlikely. After all, why would you want to use the precious resources of a micro sensor to run a web server? Wouldn’t you rather delete Node.JS and add some additional computational capability or store more temperature readings on its limited memory? So lets assume no web browser on your temperature sensor. Now what? How in the world do you find it? Well here’s an idea, create a new IP naming convention that can include geographical features such as latitude and longitude. And add a feature that explains the type of device you are encoding. 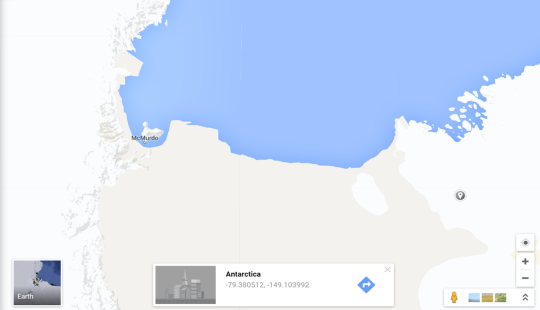 If you type in -77.375894, 0.069533 in Google Maps you will find yourself in the middle of Antartica. What if the IoT IP address for your temperature sensor was (-77.375894, 0.069533, TEMP)? I suppose you would have to change it if it moved – but then again we are constantly changing IP addresses in our current state of the world. And of course the MAC address would still identify the hardware you are looking for. I’m sure that I’m not the first one to think of a taxonomy for IoT that includes location. In fact, I wouldn’t be surprised if there are hundreds of proposed hierarchical naming structures already out there. What I do know, is we are going to need something that doesn’t depend on IoT devices being on the web. And whatever that naming convention is, will have to be pretty flexible and have a whole lot of digits. Air conditioning is a consumptive business while air conditioners are big-ticket to run. In general, AC systems, older ones, in particular, do not have any real temperature feedback. You set the temperature on your remote, but alas, it has absolutely nothing to do with the actual temperature in the room. Even when it gets colder outsides, many aircons keep blasting cold air into your space. As a result, you have to constantly readjust the temperature as needed for optimal comfort throughout the day. No doubt, AC systems are improving day by day, but there are still old systems that cannot get updated. In some instances, it’s absolutely impossible to invest in a new system. Sometimes, it is just a catch 22 to rip the old aircon out and install a new one. A basic aircon has many parts that typically are split between an outside and inside configuration, hence you may have to undergo a drastic interior renovation. In Tibbo office in Taipei, we have got trapped in an identical situation. We just have to get by with the AC system we’ve got. Our aircon is controlled with a dozen of infrared remotes lying around. The aircon must run or not run depending on whether the lights are on or off. The formula is simple: no lights = no people = no need to run the AC. The temperature in the room must be monitored by the device that stops the aircon whenever the temperature is cooled off to the preset point. Let us tell you about the probe.The probe replaces the ambient temperature meter (Tibbit #29). It is nice to have the meter built right into the TPS. The problem is, the meter is affected by the internal heat of the TPSsystem itself. This influence is especially noticeable for the TPS2L device – it’s LCD really warms up the box! The new probe has the same circuit as the Tibbit #29, with the added benefit of being external to the TPSdevice. Now the measurements are accurate. IR commands. This is where you train your IR code processor to be able to transmit two commands: “On,” and “Off.” For the “On” command, use the lowest temperature that your aircon’s remote allows you to set (usually 16 degrees C). The logic here is that when you need to lower the temperature in the room you can use the coldest temperature setting, and when the room cools down to the preset temperature, the aircon is turned off. So really, you only need two commands. Target temperature. You don’t need to set it here. There are dedicated buttons on the main screen. Pre-cool start time. This is something we added along the way. Now it is possible to turn the aircon on, once a day, even before we all arrive at the office. Our day starts at 9 am. We set this time for 8:30 am, and by the time we get in, the office is nice and cool (while the scorching Taipei summer keeps on raging outside). The pre-cool timer is hardcoded for 45 minutes. If the lights are still off at 9:15 the aircon is turned off. *Brightness threshold. *This is the brightness that the TPS will consider to correspond to “lights on.” The value is not expressed in any standard measurement units; it’s just the value the Tibbit #28 returns. So, how do you know what number to set here? Simple: the brightness is displayed on the main screen, like this: “Light level: 718”. Note the value with the lights off and on, then set the threshold to some value in the middle between the two. Temp. meas. adjustment. This is useful for when you choose to use the Tibbit #29. As we’ve explained above, its measurements are affected by the internal heat of the TPS itself. You can use a regular thermometer and determine the measurement error. For example, if your thermometer reads 25C, and TPS shows 28C, then you must adjust the temperature by 3 degrees C. The data returned by the new external probe need no adjustment. In phase 2 of this project we will connect our aircon controller to an AggreGate server. It will be possible to control the system via a smartphone app, which we going to design for this purpose. Now you know why our configuration menu has items like Network, AggreGate, etc. Stay tuned! The versatility of IoT tech is such that it can address problems in all four areas. Raj Dalal is Founder & Principal of data analytics research & advisory firm, BigInsights. BigInsights specialises in the application of Data Analytics & IoT technologies as a catalyst for business innovation. BigInsights helps craft Big Data analytics strategies for their clients which include major Australian enterprises, start-ups and Data Analytics vendors. Very few people predicted the results of last week's U.S. Elections. The surprise, and for many shock, has put the technology industry on notice as President Elect Trump's administration has outlined a different approach for issues surrounding the technology industry, i.e. trade, hiring and Net Neutrality. I'm not going to make predictions of what happens next in Washington, but I am going to extend an invitation to all our members and friends to send your predictions for what happens in IoT in 2017. For inspiration grab a crystal ball, or review our 50 Predictions for the Internet of Things in 2016. Send your predictions directly to me with a message here. I will compile the best predictions and publish next month. In the meantime, please enjoy this edition of IoT Central Digest. Our contributors and guests cover patent law (great read by the way) and provide super useful lists of IoT organizations, standards and protocols. Companies, like IBM, Intel, and Qualcomm, recognize patents as potent business tools because they can use them to keep competitors out of a market or obtain lucrative licensing royalties by allowing the competitors to practice the inventions. In 2015 alone, these companies each applied for and obtained several thousand new U.S. patents, many on IoT-related inventions. Experts estimate that more than 20,000 patents and patent applications covering IoT technologies exist world-wide. But are IoT patents truly valuable? One category of organizations that is super important for the wide-spread adoption of IoT, especially in the home, are standard specifications and interoperability organizations. Interop organizations are needed that can specify, test, and certify interoperability both at different levels, from the physical, radio, up to the application levels. Below are the set of standards and organizations that I have come across so far. Guest post by James Stansberry. A fascinating article from Philip N. Howard at George Washington University asserts that based on multiple sources, the number of connected devices surpassed the number of people on the planet in 2014. Further, it estimates that by 2020 we will be approaching 50 billion devices on the Internet of Things (IoT). In other words, while humans will continue to connect their devices to the web in greater numbers, a bigger explosion will come from “things” connecting to the web that weren’t before, or which didn’t exist, or which now use their connection as more of a core feature. The question is, how will these billions of things communicate between the end node, the cloud, and the service provider? Internet of Things is surrounded with a lot of buzz, which is there for a reason. It is one of the most revolutionary technologies and it is the closest we’ve come to predicting our future. Of course, the IoT is not based on spells and witchcraft (it’s way scarier than that), but on machine-to-machine communication, cloud computing and networks of small sensors, which collect and analyze data. In this article we’ll share some of things and processes that will change in the IoT Era. Gone are the days, when companies used to decide strategy and then execute it for next five years as planned. Today company’s life on Fortune 500 or S&P 500 is just 15 years. Digital businesses like Uber, Airbnb did not exist before 2008 but now they are multi-billion dollar poster children for digital disruption. Today due to digital, every business has to change how to operate, interact with their customers every day. Long term strategies are no longer valid or sustainable and change is constant feature. Today you can monitor home security cameras from your smartphone screen. More advanced home security systems go even further. They come with different types of sensors that control air quality, motion, sound, vibration and temperature. These systems use machine learning to determine the normal activity in your home and they send alerts to your smartphone, when something out of the ordinary occurs. Because of their smart machine learning approach, home security systems that are based on IoT concept drastically reduce the incidence of false alarms. Even our beds will become smart. At the moment you can buy several types of sleep trackers from the ones that come in the form of bracelet and measure your heart rate and blood pressure to smart mattresses that can connect to home automation systems, prepare your bed temperature, track your heart and breathing rate and wake you up in the morning. These special mattresses also collect information about your sleep and give you recommendations for improving your bed rest. Recently several companies released Wi-Fi enabled sensors that can connect to the home electrical panel and control and track your energy use. These small sensors recognize all appliances and gadgets by their “power signatures” and can monitor the energy use and brake it down to every single device. They will allow you to have a deep look into your monthly energy use, to recognize and deal with critical points and to save money on utility bills. Same as many other home security and home automation systems, these sensors learn to interpret the activity of your home devices and send warnings when incidents happen. All-in-one smart home automation systems can control several home appliances at once. People can use them to turn their porch lights on and off when they are on vacation and to preheat their home or their oven before they arrive home from work. These systems also control various conditions in your home and use smart sensors and machine learning to create the perfect comfort. Some home automation systems also come with a Bluetooth speaker and a microphone and they can work as voice assistants. Self-storage monitoring protects stored goods from climate changes, theft and other unforeseen incidents. New storage monitoring systems based on the IoT concept control storage lighting, air-conditioning and security. They also use sensors to track variables that are critical for perishable goods like temperature and humidity. You can find these smart storages in many different cities around the world. Construction site managers can use IoT solutions to monitor the work of heavy machinery and the movement of construction employees. This basically means that they don’t need to leave their trailer office. Sensors track the movement of supply and dumping trucks through geo-location technology and insure that everything works as scheduled. If there’re any irregularities in the work of heavy machinery, supply trucks or employees, the site manager will be instantly notified by smartphone push-notification. In many cities the only connection between emergency vehicles and their headquarters is established through old-fashion radios. This offers a limited control in emergency situations. Advanced telematics already appeared in many emergency vehicles around the world. This technology allows lone drivers to receive updates in real time from the environment they are entering, including: over speeding, harsh events or the incidents of other team members. Employees at the headquarters also receive the information about emergency vehicle’s hours of service, speed, siren state and location. This way, they can easily schedule vehicle’s regular maintenance and minimize its downtime. Internet of Things is the biggest tech trend that is happening at the moment. It will completely rock our world and bring a lot of positive disruption to every segment of our lives. Soon, we’ll be able to control all of our possessions through one smart app, which will leave us more time to focus on ourselves and our friends and family. You might be riding to work in a driverless car without ever having to look up from your text messages. Or you might rely on weather forecasts derived from micro-weather patterns using the barometric sensor of every iPad inside a local area. These kinds of IoT miracles will use dozens or even thousands of IoT devices. That creates challenges for a company trying to protect its IoT innovations, or for a company trying to avoid infringing someone else’s protected technology. Businesses typically protect their R&D through patents. A patent allows an inventor to exclude others from making, using, selling, or importing a patented invention. At its core, IoT is basically a massively distributed network. IoT devices across the world work together to implement creative IoT solutions. Because of that, it can be challenging to obtain patents that are useful against competitors in the IoT space. To prove infringement in the United States, a patent owner must show a single entity infringes the invention claimed in the patent. In an IoT ecosystem where many devices and actors must interact to implement a use case, it can be difficult to meet that requirement. Often times, no single entity implements or uses the entire claimed invention. For example, in the autonomous-driving scenario, smart cars might have IoT-enabled sensors reporting on the vehicle’s position, nearby obstacles, speed, and vehicle status. IoT sensors embedded on a smart highway, in a smart city’s traffic-control system, and around a smart parking lot might provide additional information for routing and safety. These devices might communicate with each other to pick up commuters, drive them to work, drop them off, and then park their cars—all without them lifting a finger. The problem is that different entities own or manufacture each component in this scenario. And if a patent owner has a patent covering this situation, who can it sue for infringement? The smart-car manufacturer? The county maintaining the smart highway? The city with its IoT-enabled traffic system? The owners of the smart parking lot? Depending on how the patent was prepared, the patent owner might be able to sue some, none, or all of them. If you have never read a patent, consider yourself lucky. It is an arcane combination of technical writing and legalese that will put all but the most stalwart patent attorney to sleep. And the most arcane section of the patent—called the “claims”—happens to be the most important because it describes what the inventor is actually claiming as the invention. Under U.S. law, an entity infringes a patent only if it practices or uses the invention described in the claims. Without getting into all of the legal details and numerous exceptions, if an entity practices or uses only a portion of the invention described in the claims, it is typically not liable for infringement. In the autonomous-driving case, if a patent claims the combination of using a smart car, a smart highway, a smart traffic-control system, and a smart parking lot, then an entity that practices or uses all of them in combination is liable for infringement. But if there are multiple entities acting in concert, and each practices or uses only a part of the claimed combination, then a “divided infringement” situation exists and the patent owner might not be able to sue any of them for infringement. For these and other reasons, patent attorneys consider it a best practice to procure patents with claims targeting the actions of individual entities. A well-designed portfolio of patents might include (1) a patent directed to the smart car made by the manufacturer, (2) a patent on the smart highway maintained by the county, (3) a patent on the smart traffic-control system owned by the city, and (4) a patent on the smart parking lot run by the parking company. The patent owner would then have a portfolio of patents to choose from when deciding whom to sue (e.g., the car manufacturer, county government, city, or parking company, respectively)—preferably the entity with the deepest pockets. But what happens if the novelty in the invention comes from the combination of all the “smart” elements, and the patent office will issue only a patent claiming the combination? Enforcing this kind of patent in a divided-infringement situation is much harder, but still possible. In 2015, the U.S. Court of Appeals for the Federal Circuit—the highest court overseeing U.S. patent cases besides the U.S. Supreme Court—explained that an entity can still be held liable for patent infringement if it controls or directs multiple entities to jointly use a patented invention. That is, an entity would be liable for divided infringement if the acts of the other entities can be attributed to the first entity. For example, if a smart-car manufacturer has a contractual relationship obligating other entities to embed and use IoT sensors on the highway, in the traffic-control system, and around the parking lot to implement the autonomous-driving use case, then the smart-car manufacturer could be found liable for infringing a patent claiming the combination. But unless the patent owner can show this type of control or joint enterprise, it will likely not be able to prove infringement for that combination patent. Besides divided infringement, another obstacle facing IoT patents is territorial scope. A U.S. patent grants rights in the United States. Thus, a U.S. patent presumptively does not confer any protection to infringing acts outside of the United States. This poses a problem for IoT patents because many IoT use cases employ devices located outside of the United States. For instance, in the autonomous-driving scenario, sensor data from a smart car might be routed to a server located in Canada—because it might be cheaper there—for routing and map updates before being sent back to the car. A U.S. patent claiming a “process” for autonomous driving that includes routing and updating maps would generally not be enforceable here because those routing and updating steps take place outside of the United States. But due to patent policy set by the government and U.S. courts, a U.S. patent claiming an autonomous driving “system” might be enforceable if the Canadian server was being controlled in the United States. The differences between the policy reasons for the two are beyond the scope of this article. The point is that territorial scope of a patent matters, particularly for IoT applications. A good patent that avoids the above problems and covers a competitor’s IoT products provides a big competitive advantage, especially if the competitor cannot design around the patent. Further, if the competitor had full knowledge of its infringing activities and had no reason to doubt the patent’s validity, but nonetheless continued with its infringing activity, it may be liable for willfully infringing the patent, an act that can triple the amount of actual damages. The U.S. Supreme Court recently changed the law to make willful infringement easier to prove. Before the change, a patent owner needed to show, by clear and convincing evidence, that the accused infringer was reckless in infringing the patent and knew or should have known its infringing actions were reckless. Now, the patent owner needs to show by a preponderance of evidence—a lower standard—only that the infringement was “egregious” and not just simply a “garden-variety” infringement case. In the past, if a company became concerned about a patent, it would seek a patent attorney’s opinion on the matter to avoid liability based on willful infringement. That practice went out of favor in the mid-2000s after the courts raised the standard for proving willful infringement. Now, with the lowering of the standard, that practice has enjoyed a revival if only to show that the company took due care in investigating the matter to reduce the likelihood of willful infringement and treble damages. Despite the divided-infringement and territorial-scope issues, thousands of patents on IoT-related technologies are being issued each year. The key is to make sure to get patents that are well thought out to avoid divided-infringement and territorial-scope issues in the first place. On average, it takes over 2 years to obtain a patent and most patents have a term of 20 years. It might be 10 or 15 years before the patent owner asserts the patent. How the market uses the invention can change significantly during that time. Thus, a patent applicant must carefully predict and anticipate likely infringement scenarios when protecting its IoT technology. Kenie Ho has litigated over 50 patents in U.S. courts on electrical and consumer-electronics technology. He is a thought leader on intellectual-property issues for IoT and leads the IoT Legal Group at Finnegan, Henderson, Farabow, Garrett & Dunner, LLP. Charles Huang prepares patent applications for IoT patents. His practice includes litigation, client-counseling, patent portfolio management, and patent analysis. Patent Photo Credit to Nick Normal via Flickr. Well October was definitely a scary month for IoT. In this edition our newsletter revisits the security issues that hacked their way into IoT last month. If you haven't been paying attention, or are looking for different points of view, you'll want to read the pieces below from our members and contributors. Lets hope for a more secure and sane month of November. Also, a reminder, this Thursday, November 3, 2016, join me, John Myers of Enterprise Management Associates and Dan Graham of Teradata where we look at what people REALLY do with the Internet of Things and Big Data? Registration information is here. Almost three years ago, I wrote in my IoT blog the posts “Are you prepared to answer M2M/IoT security questions of your customers ?. and “There is no consensus how best to implement security in IoT” given the importance that Security has to fulfil the promise of the Internet of Things (IoT). And during this time I have been sharing my opinion about the key role of IoT Security with other international experts in articles “What is the danger of taking M2M communications to the Internet of Things?, and events (Cycon , IoT Global Innovation Forum 2016). Hacking a Home Can Be Easier Using IoT - Is Your Smartphone Safe? Internet of Things has raised concerns over safety. Nowadays, it is possible to control your home using your Smartphone. In the coming years, mobile devices will work as a remote control to operate all the things in your house. Some devices display one or several vulnerabilities that can be exploited by the hackers to infiltrate them and the whole network of the connected home. The Internet of Things (IoT) is often hyped as the next industrial revolution—and it’s not an overstatement. Its use cases are still being discovered and it has the potential to change life and business as we know it today. But as much as IoT is disruptive, it can also be destructive, and never has this reality been felt as we’re feeling it today. On Friday, a huge DDoS attack against Dyn DNS servers led to the majority of internet users in the U.S. east coast being shut off from major websites such as Twitter, Amazon, Spotify, Netflix and PayPal. Industry 4.0 or, as it is also known the fourth industrial revolution is the trend that is currently coming into play of automating the manufacturing processes and the use of IoT and other technologies to make industrial processes more readily accomplished. It is working hand in hand with things like the internet of things, cloud computing and cyber-physical computing. Using Industry 4.0, we create what are called smart processes and smart computing. According to Wikipedia, "Within the modular structured smart factories, cyber-physical systems monitor physical processes, create a virtual copy of the physical world and make decentralized decisions. Over the Internet of Things, cyber-physical systems communicate and cooperate with each other and with humans in real time, and via the Internet of Services, both internal and cross-organizational services are offered and used by participants of the value chain." The term Industry 4.0 or fourth industrial revolution began in the German government with a project that they had created that was markedly high tech. It promoted computerized manufacturing and provided the reasons for that manufacturing to take place as well as how industry 4.0 would play out with other areas of manufacturing such as logistics and supply. Industry 4.0 provides for changes in the way in which we work. It makes our work smarter and faster and in most cases will save a great deal of money for the factories and businesses which embrace it. For those that do not embrace the fourth industrial revolution, they will be hard pressed to keep up to those who have introduced smarter factories. Better manufacturing, better use of space and better safety results are just a few of the things that Industry 4.0 provides. For those who embrace Industry 4.0 the results can be faster, better, more profitable results from their business. What's not to love about that. Dresner advisory services has published a report on IoT business models. This report covers IoT, Big Data and Analytics. I have been focussing on this subject in my teaching at Oxford University and the Data Science for IoT course . So, it’s nice to see the insights. Forbes has written a good analysis of this report’s findings. Based on this analysis, I find that the report has some areas I agree but also some surprising omissions. I suspect that the report was based on from survey results – and hence innovation is missed. For example, the inclusion of Map reduce for IoT is surprising (and I suspect arises from familiarity of survey respondents). For the same reasons, ‘Relational Database support’ is seen to be very important, whereas ‘Real time’ is much less so according to the survey. This is similar to asking a group of Telecom Operators in 2005: ‘Will Skype succeed?’ All would say no .. but the reality does not reflect survey findings. Having said that, there are many other findings and trends that I agree with. The emphasis on the Enterprise is accurate. 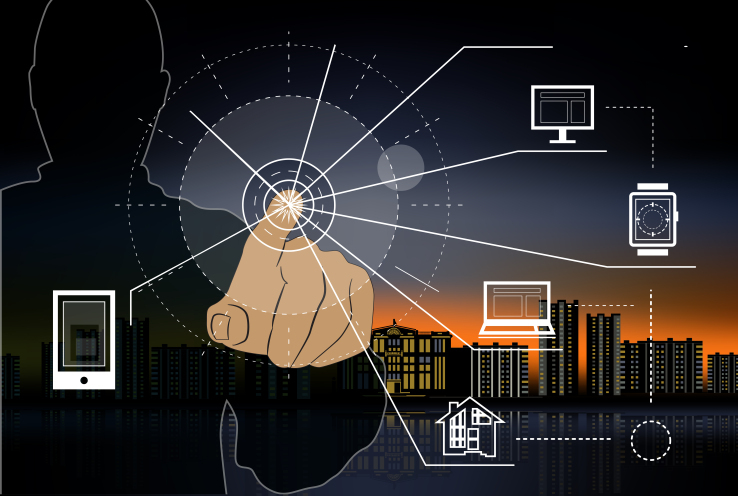 For IoT, consumer gets lot of traction – but the value is in the Enterprise. However, the word ‘Enterprise’ also encompasses many areas – and each of these verticals have their unique intricacies. If IoT analytics (data) is the main value-add for IoT, then the question is: How will IoT data will be leveraged in an Enterprise considering IoT itself comprises of multiple silos? In a recent article, I advocated an Enterprise AI layer which will incorporate IoT datasets. ‘Enterprise IoT’ encompasses many areas – each of these verticals have their unique intricacies. If IoT analytics (data) is the main value-add for IoT, then the question is: How will IoT data will be leveraged in an Enterprise considering IoT itself comprises of multiple silos? IoT is also a complex domain and there are many differences between traditional Data Science and Data Science for IoT.To actually implement Data Science for IoT at an Enterprise level, you would need to consider Enterprise AI layer which will incorporate IoT datasets.